In recent years, a number of medical schools have begun exploring innovations in medical education, revising traditional teaching methodology and curriculum integration by focusing less on what students are taught and more on how they are taught (National Institutes of Health, 2011). In some cases, this has resulted in eliminating traditional basic science courses altogether (under the assumption that such material can readily be accessed via the web) and replacing these courses with the immediate immersion of students in clinical experiences in which behavioral sciences are supposedly integrated (Beck, 2015). Unfortunately, these innovations run the risk of throwing out the baby with the bath water, replacing curricula that teach integrated basic bio-behavioral science with exercises in how to conduct assessments, motivational interviewing, addiction counseling, or other select practices that purport to train students in behavioral science skills. Teaching clinical skills without an understanding of the basic sciences upon which those methods are based (the interactive bio-behavioral processes are the foundation for those skills), is analogous to teaching surgical techniques without understanding the basic anatomy and physiology involved, or prescribing medications without understanding the underlying pharmacology. Clinical training teaches a student how to administer an empirically validated intervention. Basic science explains the why and how; the bio-behavioral mechanisms by which that intervention works. Increased training in the science of health care delivery is a worthy goal, but not at the expense of reducing training in the integrated bio-behavioral sciences that are basic to medicine to a Internet search. If behavioral science contributions to medical school curricula are to be limited to a few clinical practice experiences and if behavioral science is no longer integrated into medical school curricula, then where do health care professional students get the informed and guided training in integrated bio-behavioral science from? One option is to move this basic science training to pre-professional education, where it is free of the political, cultural, and structural barriers of academic health centers, and where basic science educators have more control over the quality and scientific merit of bio-behavioral integration within the curriculum. A Pre-Professional Minor in Behavioral Medicine? A number of universities are addressing this issue by offering minors in Behavioral Medicine/Health Psychology to pre-professional health care students. For example, the Departments of Psychiatry and Psychology at the University of Washington are exploring a collaborative interdisciplinary minor in Behavioral Medicine, designed to provide pre-professional preparation for health care specialties such as medicine, nursing, physical therapy, social work, occupational therapy, physician assistants, and clinical psychology. The curriculum would include a flagship course “Health Psychology for Health Care Professionals” and additional courses focused upon the priorities recommended by the Institute of Medicine (2004), including interdisciplinary case study seminars for promoting interprofessional literacy and collaborative care. Should basic bio-behavioral science be shifted to prerequisite university curricula? Medical educators who have devoted their careers to incorporating behavioral science into medical school curricula will find such suggestions anathema. Increasing emphasis upon psychological and other behavioral sciences in the revised Medical College Admissions Test (MCAT) argues strongly for increased, not decreased, grounding in the behavioral sciences. Therefore, if medical schools are no longer receptive to integrated basic bio-behavioral science in their curricula, educators should consider exploring innovative relationships between Academic Medical Centers and basic behavioral science departments like psychology, in order to seek viable curricular alternatives at the pre-professional level. Medical educators should be attentive to the potential consequences of these medical school curriculum innovations, to ensure that behavioral science is not once again relegated to the sidelines as an interesting but marginally relevant “social science.” Scientists and clinicians who are proponents of an integrated bio-behavioral science have much to offer in health care education, not simply as clinical mentors and supervisors in clerkship demonstrations of clinical skills, but as basic scientists who can elucidate the scientific foundations linking the biological and behavioral processes in health care. American Association of Medical Colleges (AAMC). (2011). 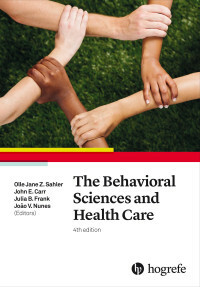 Behavioral and social science foundations for future physicians. Washington, DC: AAMC. Institute of Medicine (IOM).(2004). Improving medical education: Enhancing the behavioral and social science content of medical school curricula. Cuff, P.A. * Vanselow, N.A., (Eds). Washington, DC: National Academies Press. National Institutes of Health. (2011). Behavioral and social science consortium for medical education: Final KO7 Program executive summary. Washington, DC: National Institutes of Health. is Professor Emeritus of Psychiatry and Behavioral Sciences and Psychology at the University of Washington. is Professor of Pediatrics, Psychiatry, Medical Humanities, and Oncology at the University of Rochester School of Medicine.